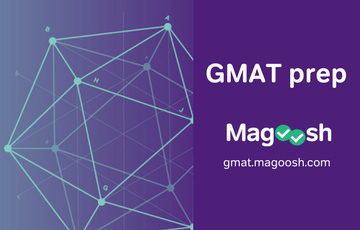 Wrote my GMAT yesterday and scored a meagre 650(Q42, V37). I need a score above 700 to be shortlisted by my dream colleges. Pls help. 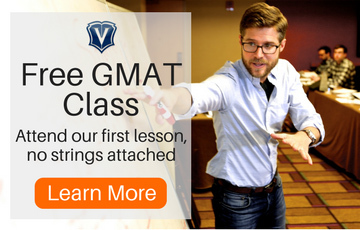 I am IT male, prepared for GMAt for about 2 months. What bumped me after seeing my score was how dismally I perfomred in Quant. 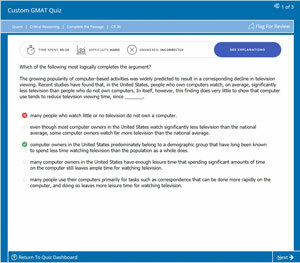 I gave just(no other CATs) two GMAT prep tests and scored 660(q47, v34) and 640(q48, v31) respectively. The last one I took was about 10 days before the actual test. So I thought if I caould score a few more in verbal I should be able to reach the magic figure of 700. So concentrated more on verbal in the last few days but did not leave quant entirely. 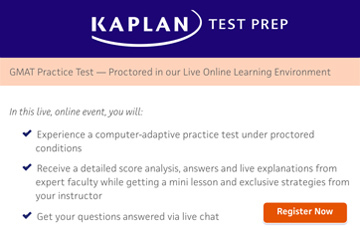 Kaplan 800 for quant only. Pls suggest me if I should retake and what could I do differently then. I realised I was a liitle short of time on Quant in the actual test, had to do last 3 q's in 3 mins. I think You scored pretty fine comparatively the way u prepared......The resources that you have are good enough to fetch 700 + score, I think with little practice and time You can easily push it to 700+. 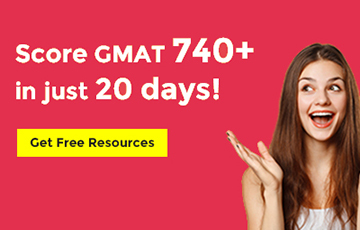 Just review kaplan 800 and manhattan Again with this you may be aware of that you must give as many mosk test as possible, /You can re install again and again gmat prep to get new set of questions. 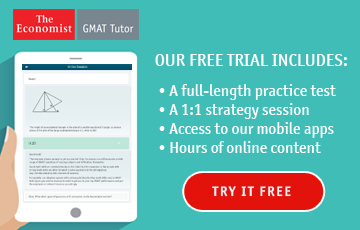 Almost all gmat book publishers offers a free full length mock test. My advise to you is ur basics are strong You just need little bit of practice. Let me know bout ur stratergies and if any other prob u facing. Your strategy was dead-on except that your quant scores let you down a bit in the real exam. You improved your verbal (which is a great way to improve your overall score) from 31 in GMATPrep to 37 in the real exam. A Q49 (48) V 38 would have got you that 700 score. So the good news is -- you were already hitting a Q47/48 in your prep tests -- so your 700 is not that far away. If I were you -- I would take plenty of positives from this exam and would be very confident of breaking the 700 barrier next time around. It's always easier the second time around -- you are not as nervous and you know the routine. Just make sure you don't do anything too drastic and overcompensate -- sometimes the tendency is to fix something that is not broke when all it requires is a bit of fine tuning. I think that it's a LOT easier to get from 650 to 700 with your break down (Q 42 V37) than it would be for someone with a 650 (Q49 V29). Hey, I totally get you. First off, 650 is not a 'meagre' score. 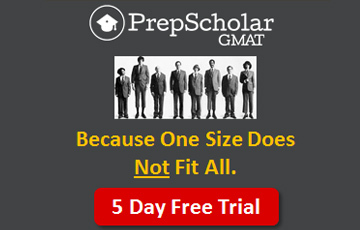 That said, you are in perfect shape to re-take the GMAT in 31 days. Take a call whether you can actually do it. You are on target as far as quant is concerned. 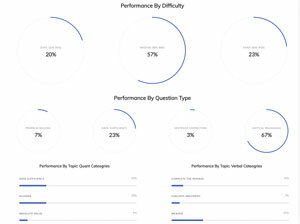 For the next 1 month, I would suggest you divide your time 70:30, with 70% of your time towards polishing your verbal skills and the remaining 30% for keeping in touch with your quant material and tests. As pointed out in a previous post, you are off by around 7-8 points in Verbal to get that 700. 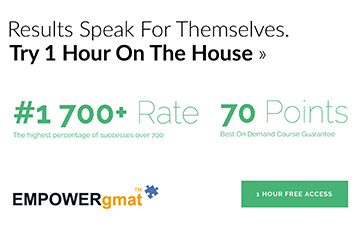 That means you need around 7-10 more correct answers in your GMAT exam. (It would help if some expert can confirm this ) That's it! Now, the good news is that you know your weaknesses...Work specifically on them. SC is pretty much mathematical in its approach. I'd recommend Aristotle SC Grail over MGMAT SC at this stage. 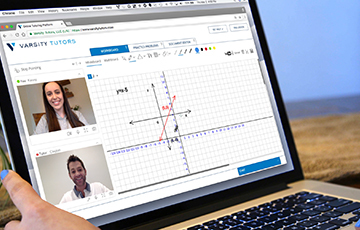 There are sufficient strategies for CR and RC on this very forum to help you get those crucial 7-10 questions correct. Once that's done, you are all set along the path towards your dream colleges! 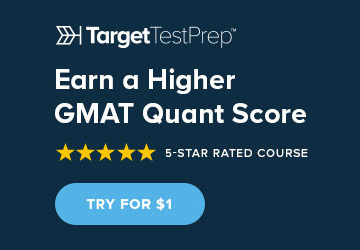 Did you more heavily practice towards prep tests from test prep companies than towards OG and GMATPrep? 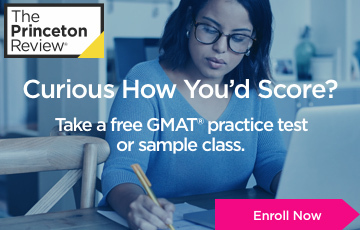 Did your GMATPrep verbal score lower than that of other prep tests? I was in your shoes, or at least sort of. 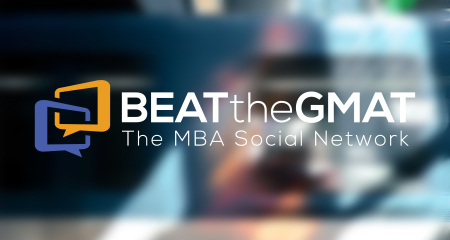 I took the GMAT three times and ended up with 660 in the first two tests. I did something different and shared it in the above post.